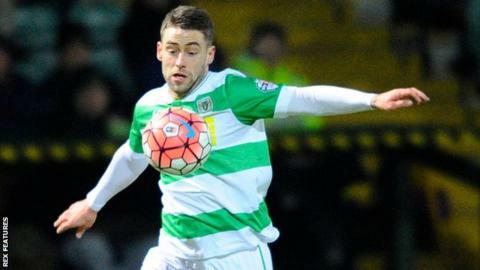 Jack Compton hit a hat-trick to earn a shock comeback win at AFC Wimbledon and take Yeovil Town three points clear of the League Two relegation zone. But Compton levelled on both occasions, running through to slide home and curling in a free-kick from out wide. And the winger sealed his treble from the penalty spot after substitute Kevin Dawson was fouled by Callum Kennedy. The home side drop to 10th in the table after seeing their four-game winning run come to an end, while the Glovers are three points ahead of Dagenham & Redbridge, whose match was postponed. "You concede three goals at home, that's not good enough. "I knew this would be tough and I drummed it into the players. That's the sort of game I expected. "We struggled at times and we had too many players who probably didn't perform to the levels they have performed at. We're giving away really, really poor goals. "We ran out of ideas trying to chase the game in the last 20 minutes." Match ends, AFC Wimbledon 2, Yeovil Town 3. Second Half ends, AFC Wimbledon 2, Yeovil Town 3. Adebayo Azeez (AFC Wimbledon) is shown the yellow card for a bad foul. Substitution, Yeovil Town. Tahvon Campbell replaces Jack Compton. Simon Gillett (Yeovil Town) wins a free kick in the attacking half. Attempt missed. George Francomb (AFC Wimbledon) right footed shot from the centre of the box is close, but misses to the right. Substitution, Yeovil Town. Simon Gillett replaces Liam Walsh. Liam Walsh (Yeovil Town) wins a free kick on the left wing. Corner, AFC Wimbledon. Conceded by Connor Roberts. Attempt missed. Adebayo Akinfenwa (AFC Wimbledon) right footed shot from the centre of the box is too high. Attempt blocked. Jonathan Meades (AFC Wimbledon) right footed shot from the left side of the box is blocked. Corner, AFC Wimbledon. Conceded by Ben Tozer. Attempt blocked. Adebayo Azeez (AFC Wimbledon) right footed shot from the left side of the box is blocked. Substitution, AFC Wimbledon. George Francomb replaces David Fitzpatrick. Substitution, AFC Wimbledon. Adebayo Akinfenwa replaces Lyle Taylor. Goal! AFC Wimbledon 2, Yeovil Town 3. Jack Compton (Yeovil Town) converts the penalty with a right footed shot to the bottom right corner. Penalty Yeovil Town. Kevin Dawson draws a foul in the penalty area. Penalty conceded by Callum Kennedy (AFC Wimbledon) after a foul in the penalty area.